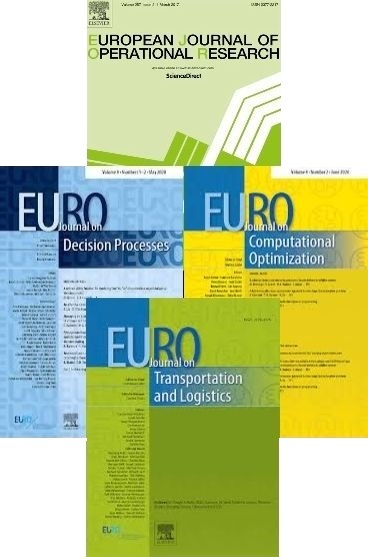 In addition to the large EURO-k conferences considering all possible OR-subjects and as a supplement to the established EURO Working Groups, a series of so-called EURO Mini Conferences (EUROmC) was initiated in 1984. The objective is to assemble a limited number of specialists around a specific theme. EURO Mini Conferences are specialised conferences on a particular promising OR theme for a limited audience of specialists. They are a good framework for the specialists of a particular field of research to participate in a meeting where the screening of papers can be more effective and participation in the debates can be more lively than at larger meetings. It is therefore an instrument that provides opportunities for many members to get involved in the activities of our Association. EURO has agreed to support up to two EURO Mini Conferences a year. Anybody can submit a proposal to organise a EUROmC. National OR Societies, research groups, scientific organisations and EURO Working Groups (EWG) are eligible to submit proposals, but in the latter case such proposals must be clearly distinct from the regular EWG activities for which EURO already provides support. Proposals for organising a EURO Mini Conference can be made by any member of a member society of EURO. These proposals are to be approved by the Executive Committee. For details please see the guidelines section or contact the EURO VP1 ([email protected]).